Are you dreaming about getting married in a beautiful location on a pristine lake with views that provide a stunning background for your ceremony, pictures and memories? 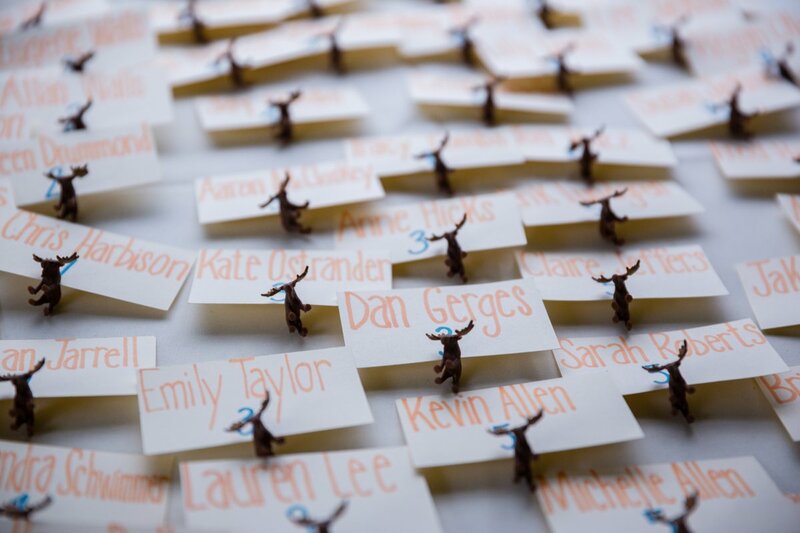 A wedding echoes a couple’s spirit and tells their story to family and friends. It is also a celebration, a party, a reunion, and the beginning of a new life. Planning such an event requires thoughtful attention and understanding. Where will my ceremony be held? 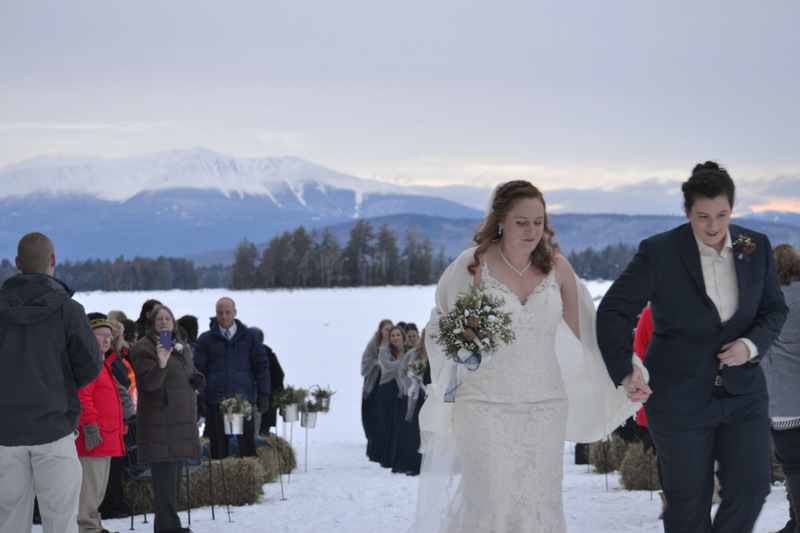 Most of our brides choose to get married on “The Look” with Katahdin in the background. Regardless of the season, as they all have their charm, The River Driver's is available in late fall, winter and spring where guests can stay warm next to the fire place. Who Says You Need to Get Married in Summer...? We are open year round and can host your wedding anytime you are inspired to get married. Under the sky or under a tent, this reception is yours. 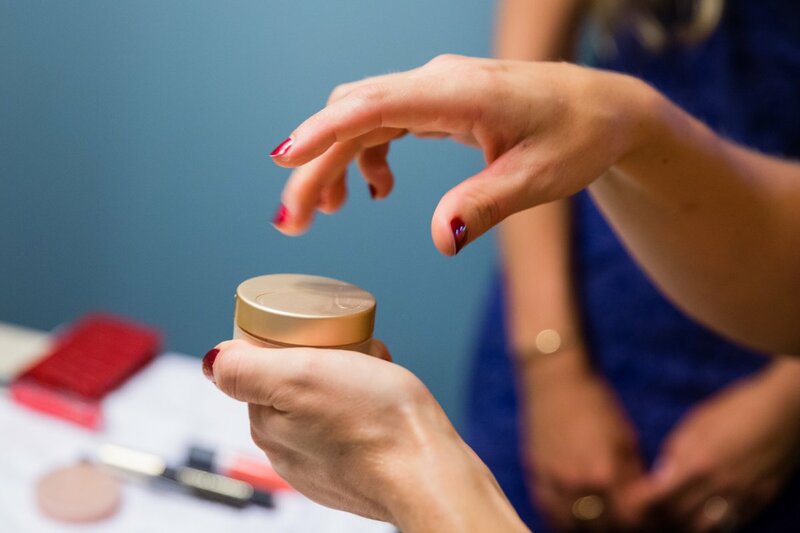 Whether you want to plan every detail or leave it to the meticulous guidance of our wedding coordinator, your reception will truly be a celebration. We offer outdoor and tent options and we can cater to large groups inside. A broad range of food choices are available to suit the needs of your guests and you can custom design a menu with our chefs. It is your day! How many can you accommodate? Year round our facility can accommodate 135 guests by maximizing the River Driver's Restaurant. In the summer and fall we can host up to 250 guests in an outdoor tent. There are 20 cabins of various sizes overlooking a beautiful mountain lake. All of our cabins include the amenities of home, and couples can work with our event coordinator to ensure the organization of lodging assignments. We can comfortably accommodate up to 145 guests on site and can cater up to 250 people at the reception. What are NEOC/Twin Pines unique features? Our stunning location is one key feature. We can make our space work for you. If you would like to book the entire site for your wedding, we can accommodate that. All of our cabins are full service complete with linens and towels so your guests can have the comforts of a hotel in the unique setting of a romantic country cabin. On-site is a full-service family friendly restaurant which provides great casual dining as well as a myriad of activities to entertain you and your friends. How about roasting marshmallows on a bonfire by the lake? Or going whitewater rafting? Or a champagne pontoon boat ride on Millinocket Lake the evening before or morning of the wedding? Do I have to book the whole place? You can book all or part of the venue. You can have the reception on site without booking the cabins also. What other details do I need to know about? 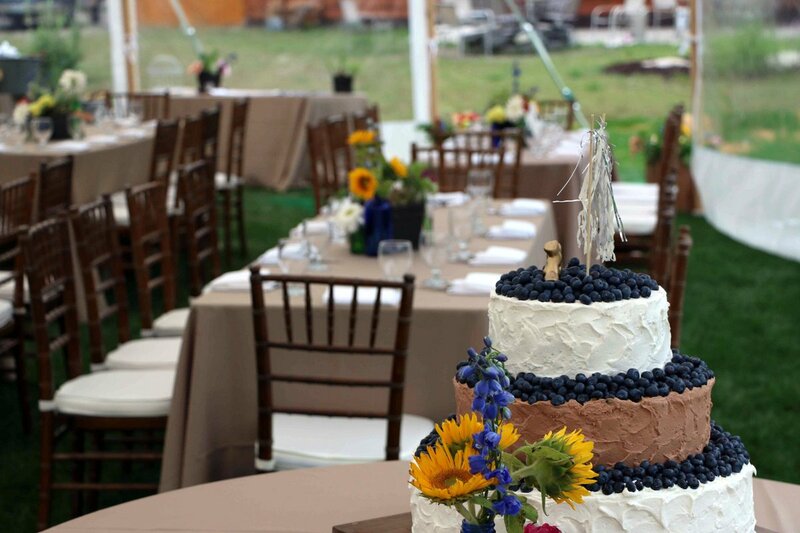 We offer unique and custom designed Maine weddings easily accommodating rehearsal dinners, Brunch the morning after the wedding ceremony, and recreational activities for your family while they are here. The buildings have a rustic elegance and the scenery is picture perfect which will allow for great photos from your wedding day. It truly is the most perfect setting for a beautiful Maine wedding. 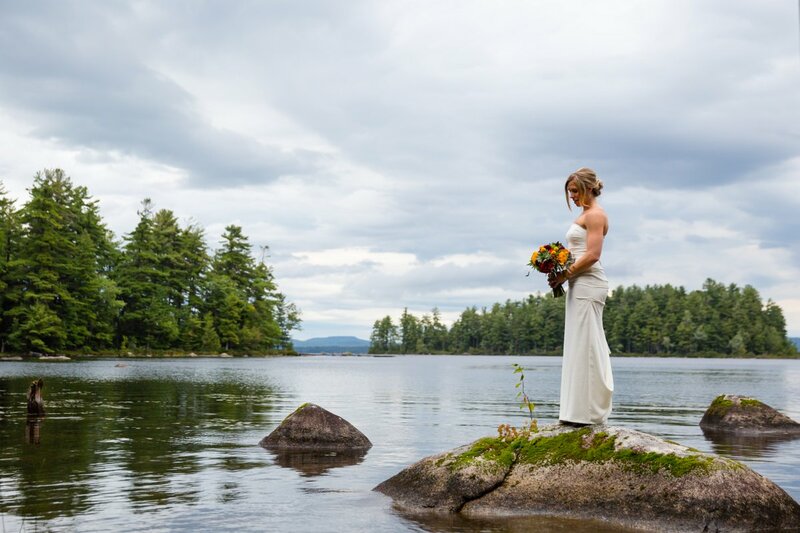 We will help you plan your Maine wedding, if you can dream it, we can do it! Please contact us when you are ready to further explore at 207-723-5438 or 800-766-7238. Contact [email protected] to book your wedding with us. Do you know how you want your wedding to look are you interest in seeing some of the beautiful creations from the many people who got married here? we can share some photographs. We have more than a few vendors to recommend...more information here, cakes, cupcakes, ice cream, tall, small and more. Your Photographer is one of the most important selections you will make on your day. The photographs we are using on this page are from Kate Crabtree Photography of Rick and Heidi's Wedding.